Show you've earned your style stripes with this tiger pattern men's wedding band from Lashbrook Designs! 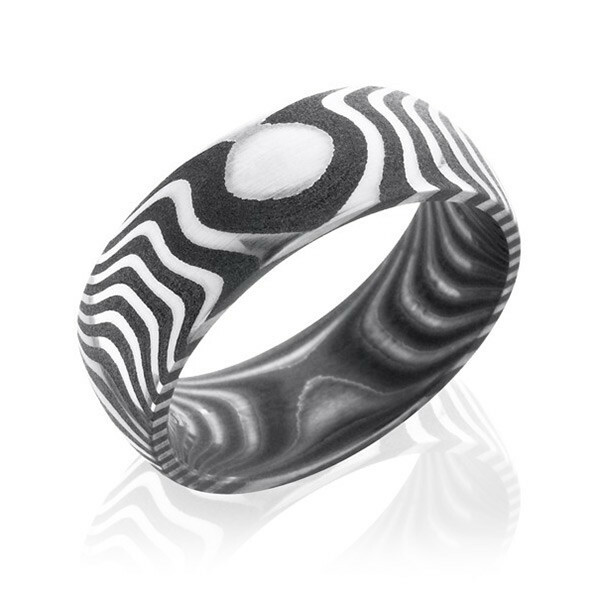 Crafted in Damascus steel with an acid finish, the masculine piece of jewelry is 8mm wide and has a domed style. You can trust your animal instincts when you select this Lashbrook gent's ring!